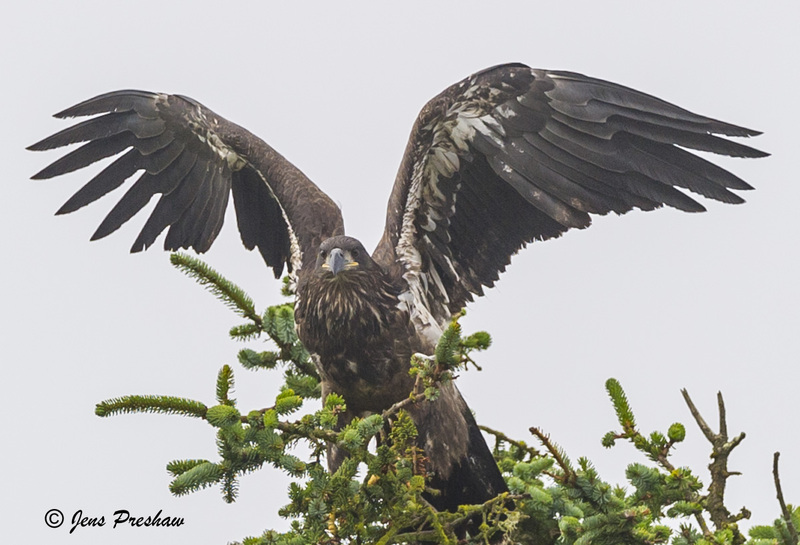 This golden eagle ( Aquila chrysaetos ) was about to take flight after being perched at the top of a tree. One way to identify a golden eagle is by its dark brown eyes. This large raptor alternates deep slow wing beats with glides and soars on thermals. Its diet consists primarily of small mammals such as rabbits, it will also eat birds, reptiles and carrion.